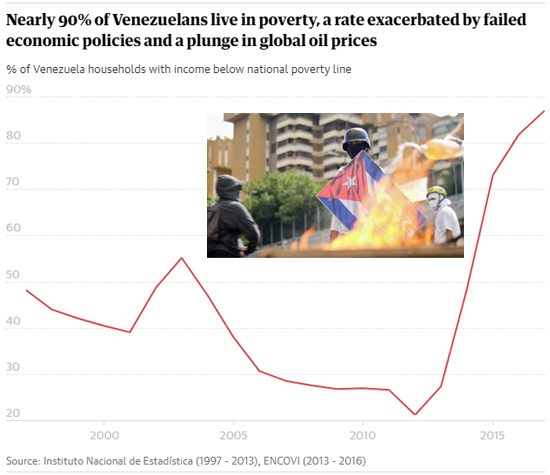 Recently The Guardian documented what they call, “‘A slow-motion catastrophe’: on the road in Venezuela, 20 years after Chávez’s rise.” Proving again socialism will kill any nation that implements it. Tulsa Today has written so often on this topic that Google’s evil-in-practice limits our voice and Soros trolls harass us, but again we point to the obvious. 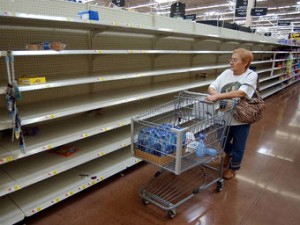 People are dying daily and fleeing in mass the Marxist evil of Venezuela. This may not impact America’s Starbucks purchases, but people are hunting rats and digging in trash for food to survive in Venezuela. Children are starving. Leftists teaching school in Tulsa don’t want you to know, but you must know. But even before stepping outside the terminal it is obvious his Bolivarian revolution, like the airport’s immobile escalators, has ground to a halt. On 6 December 1998, Hugo Chávez proclaimed a new dawn of social justice and people power. “Venezuela’s resurrection is under way and nothing and nobody can stop it,” the leftwing populist told a sea of euphoric supporters after his landslide election victory. Two decades on, those dreams are in tatters. The comandante is dead and his revolution in intensive care as economic, political and social chaos engulf what was once one of Latin America’s most prosperous societies. Almost 10% of Venezuela’s 31 million-strong population have fled overseas; of those who remain, nearly 90% live in poverty. 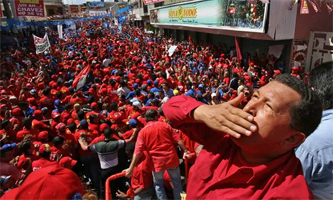 To understand Venezuela’s collapse, the Guardian travelled hundreds of miles across the nation Chávez dreamed of transforming, from the spot in downtown Caracas where he gave his first speech as president-elect to his birthplace in the country’s sun-scorched southwestern plains. 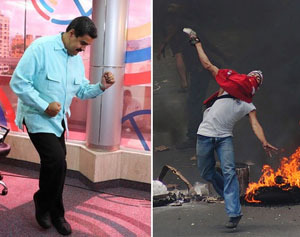 On the way, we encountered lingering affection for a charismatic populist still celebrated as a champion of the poor, and a determination among Venezuelans from all walks of life to somehow weather the economic cyclone ravaging their country. 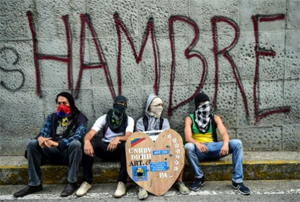 But above all, there was deprivation, hunger, profound apprehension and seething anger – even among proud chavistas – at a government now incapable of fulfilling its citizens’ most basic needs, and in denial over a humanitarian crisis unprecedented in modern Latin American history. “People do not understand what is happening in Venezuela because it is too hard to believe,” says Alberto Paniz-Mondolfi, a doctor in the city of Barquisimeto, describing the implosion of a health service that was once the envy of the region. “The most oil-rich country absolutely devastated and turned into a war-torn nation – without a war. Dear Reader: The Leftist Elite ignore evil of their own. It happened with Hitler, Stalin, Mao and others of lesser note; Socialism always kills everywhere even, in this case, the richest nation of South America. They use identity politics, wealth redistribution and in America now as Social Democrats want to impose failure from the top down by force of arms. This entry was posted in National on December 10, 2018 by admin.